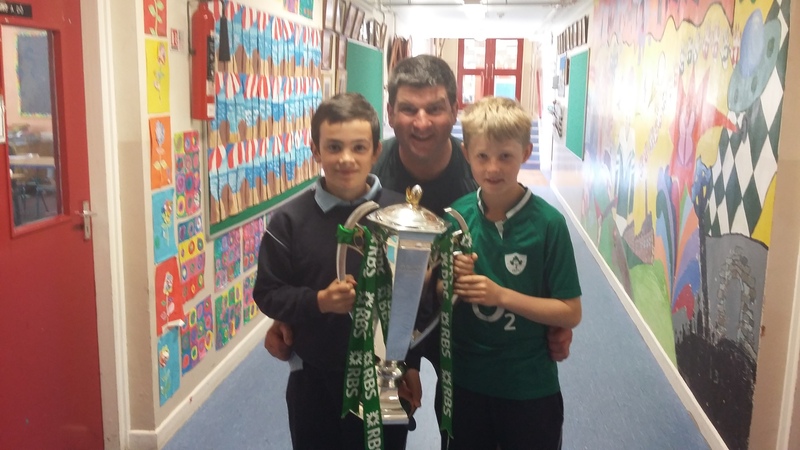 On Wednesday we were really lucky to have the Six Nations trophy in our school. The children had the chance to lift the trophy, just like Paul O’Connell did for Ireland when we won the competition this year. A huge thank you to Ken O’Connell for organising this great experience for our classes! You will find more pictures in the Gallery and in some of our class pages.